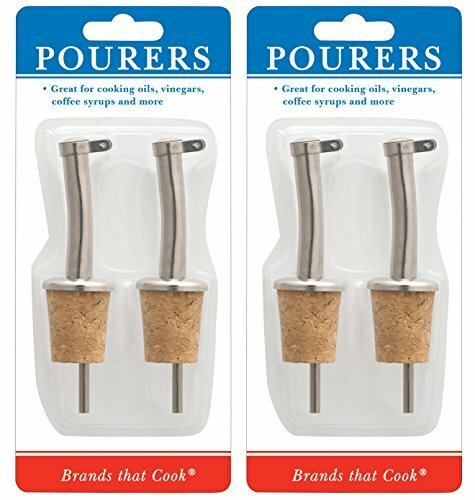 Harold Import Company, HIC, Set of 4 Pourers with Cork Bottom for Oils, Vinegars, Syrups and More. Made from stainless steel with a cork base. Perfect for pouring coffee syrups, wine, liquor, oils and more! Stanless steel design helps prevent accidental flavor transfers betweeen uses. Lid helps prevent dust and other contaminents from getting into your food!